The 10th album of the power/heavy metal institution MYSTIC PROPHECY! MYSTIC PROPHECY - playing music in the vein of bands like Accept, Judas Priest, Exodus, Forbidden or Testament - has become a steady force within the global metal scene in the past years, and are standing for powerful and dynamic metal at its best! With their debut album "Vengeance" (2002), MYSTIC PROPHECY filled a gap within the scene, and received great reviews all over the globe. Meanwhile, the band has released further albums, which were all well received: "Regressus" (2003), "Never-Ending" (2004), "Savage Souls" (2006), "Satanic Curses" (2007), "Fireangel" (2009), "Ravenlord" (2011), "KillHammer" (2013) as well as the latest studio album "War Brigade" (2016). In 2017, the band re-released their first three albums. Each album of MYSTIC PROPHECY sets the bar higher, and the media always wonders: "How will the band top this release next time?" 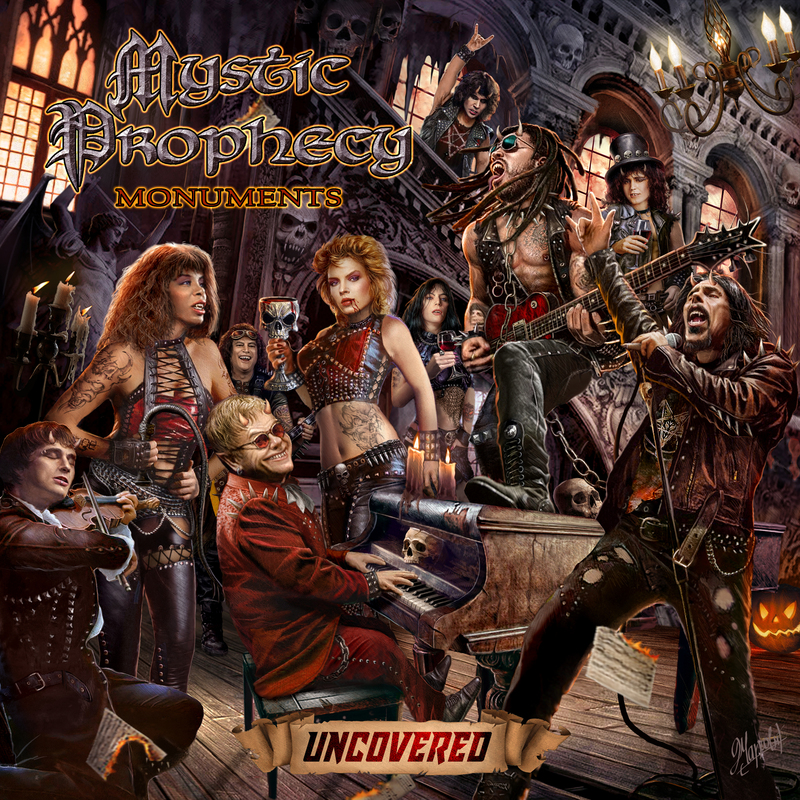 MYSTIC PROPHECY now accepts this challenge for the 10th time and they, against all odds, don't serve new songs this time, but cover classics, which have not been or were rarely covered, even though they are considered as milestones in music history! From "You Keep Me Hangin' On" by Kim Wilde - which will both please headbanging enthusiasts as well as those who like to bust a move - to "Hot Stuff" by Donna Summer or "Shadow On The Wall" by Mike Oldfield; no matter if it is Lenny Kravitz, Patti Smith, Elton John, Monster Magnet or Creedence Clearwater Revival, MYSTIC PROPHECY sure know how to metal them up!